Sometimes operating at your best means standing out from the crowd. 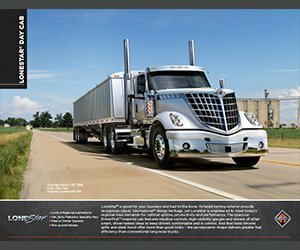 The LoneStar® has classic good looks inspired by International® trucks of days gone by. But LoneStar is more than just eye-candy. It boasts the quietest cab in its class and at 89″ wide, it’s also one of the roomiest. A 50-degree wheel cut and roll stability control allow you to maneuver the LoneStar in and out of traffic with ease. And the styled grille and hood aren’t just for looks. Thanks to a big reduction of noise and vibration, plus proprietary air-cushioned front and rear suspensions, your ride has never been smoother. 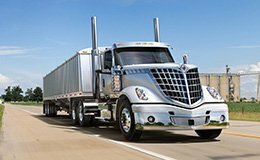 They’re more aerodynamic too, making LoneStar more fuel-efficient than long-nose conventional trucks. It’s a truck that looks as good on your bottom line as it does on the road. When the road is your home, it’s best to make the most of it. And with equal parts head-turning style and optimal performance, the LoneStar® does just that. Our DriverFirst® design philosophy has resulted in the quietest, roomiest cab in its class, along with advanced ride and handling. The LoneStar® has the big bore power performance of the Cummins X15 engine for the heaviest of hauls. But it’s also got the efficiency to keep costs down, with an aerodynamic design that reduces drag and adds fuel efficiency. 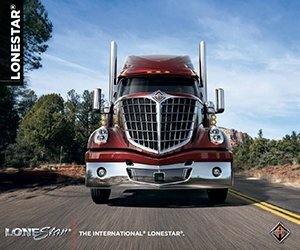 On the highway or in the city, one thing is undeniable — the International® LoneStar® turns heads. But besides its classic good looks, there are new features to enjoy, including better side visibility, useful for navigating congested streets. 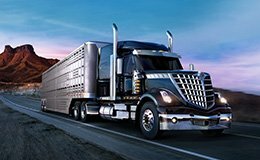 Whether you are a hazmat carrier or if you are a cattle hauler, the International® LoneStar® turns heads. Whatever you haul, drivers will appreciate the improved ergonomics, ingress and egress for a smoother ride with a tough haul. The LoneStar® doesn’t rely on its good looks, but on what’s under the hood: the Cummins X15. Available with 400–605 hp and between 1,450–2,050 lb.-ft. of torque, it brings big power and performance. 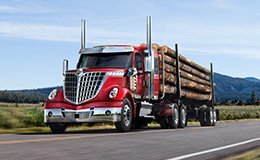 We’ve built a hard-working truck around it that gives you a leg up in uptime, visibility and durability. The Cummins ISX15 combines the brute power needed to haul loads up steep inclines with fuel economy that your bottom line will appreciate. 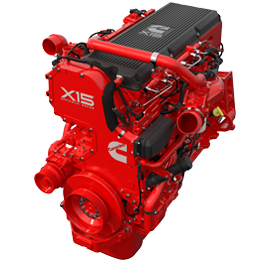 With a broad range of horsepower ratings and powerful torque the ISX15 has the power to get any job done right. 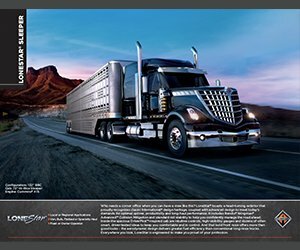 To develop the LoneStar®, we listened and learned from hundreds of drivers, leading to design improvements that helped us create a truck that drivers want to drive. Not just eye-candy, LoneStar® lets you cut through the wind, reduce drag and gain fuel efficiency, all thanks to a contoured roof and specially designed grille and fenders. We increased elbow room, hip room and legroom. For better comfort, we adjusted the armrest height. To improve entry and egress, we increased the door’s opening angle. Roll stability control and standard Sheppard HD94 steering gear for on/off highway conditions reduce steering effort on all types of terrain, regardless of load. 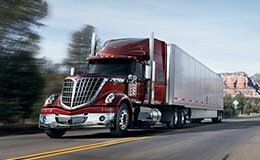 Standard wide-track front axles mean a tighter turning radius and enhanced maneuverability wherever the road may take you. We positioned displays and controls for intuitive, easy-to-reach operation. We even relocated the air horn based on driver feedback. The new shifter is mounted on the steering column, allowing drivers to keep their hands on the wheel and eyes on the road. New one-piece windows allow for more unobstructed side views and better placement of the cab and hood mirrors.